Tommaso has escaped discovery for thirty years but a young private investigator, Will, has tracked him down. Tommaso asks him to pretend never to have found him. To persuade Will, Tommaso recounts the story of his life and his great love. In the process, he comes to recognise his true role in the events which unfolded, and the legacy of unresolved grief. Now he’s being presented with a second chance – but is he ready to pay the price it exacts? That Summer In Puglia is a tale of love, loss, the perils of self-deception and the power of compassion. Puglia offers an ideal setting: its layers of history are integral to the story, itself an excavation of a man’s past; Tommaso’s increasingly vivid memories of its sensuous colours, aromas and tastes, and of how it felt to love and be loved, eventually transform the discomforting tone with which he at first tries to keep Will and painful truths at a distance. I knew I wanted to read this novel as soon as I saw the cover. The simple black and white image of a couple holding hands, promised much, would the pages inside match the wonderful cover? We meet our wonderful narrator Tommaso as he meets a private investigator in a London coffee shop, a PI who informs Tommaso that his mother has died leaving him a considerable inheritance. It is an inheritance Tommaso does not want, nor did he wish to be found. Why I asked myself, why did he not want the money, why did he wish to remain in anonymity? What followed was a story of teenage love in the hot summer sun of Puglia. Tommaso from a wealthy family, a dearly beloved Father now dead and a mother with little time for him. Anna from a family with little money, and little education. Yet Anna is intelligent, with a desire to learn all she can, to attend university and escape the backstreets of Puglia. Both are wonderful characters but it was Tommaso, that stole my heart, Vescina’s portrayal just wonderful. She somehow manged to get to the very heart of Tommaso, from the young boy who loses his father and the bottomless grief he feels, to a man full of guilt and the emotions of love. Vescina’s writing is brimming full of emotion and tenderness and I could not help but feel Tommaso’s utter despair that pervaded many parts of the novel. It is Tommaso’s differing relationships with his parents that I found the most interesting. The bond between himself and his father was so wonderfully endearing, and hugely emotive to read, compared to the harshness of the relationship he had with his mother, based on his utter sense of betrayal and the lack of love he felt she showed him. Anna I felt was a character with an inner strength, that was somehow lacking in Tommaso. I think her background gave her a far more realistic outlook on life, and the situations that she found herself in were hard but I felt that she somehow coped better, striving for a life that fulfilled her potential. Their love for one another leapt from the pages as I read, matched by the simmering heat of a hot Italian summer. And how well Vescina described the town of Puglia. The vibrancy of the town square, the winding backstreets, and the beautiful images of Tommaso’s villa and its gardens, conjured up such vivid and vibrant images. I could almost smell the flowers in the beautiful gardens and my mouth watered at the descriptions of the amazing food cooked by Concetta. 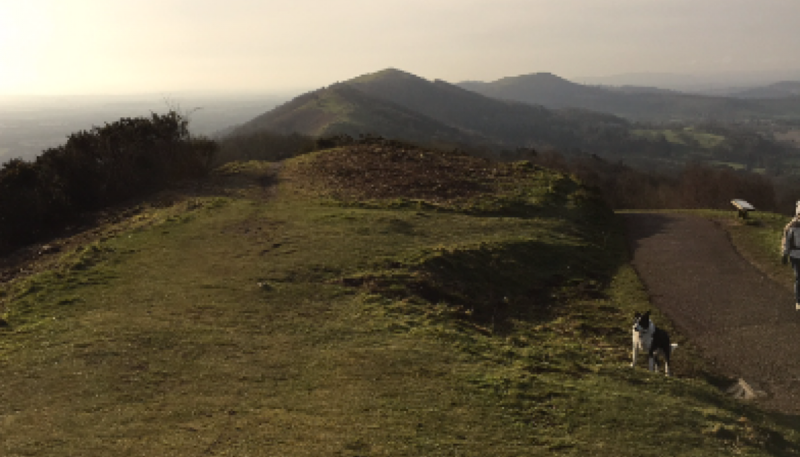 The whole setting was beautifully atmospheric and so befitting of this amazing love story. As you can probably guess from my gushing review, i loved this novel. It had everything you want in a love story. It had passion, betrayal, grief, and loss but most of all it was about the capacity we have in all of us to forgive, to make amends and make the best of what life has to offer. 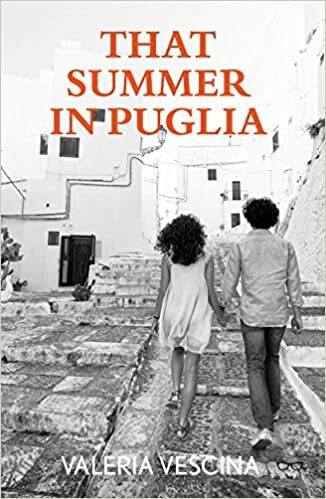 If you want a sumptuous, evocative and totally enthralling novel to take on holiday this year then it has to be That Summer In Puglia, it is just beautiful. I would like to thank Eyewear Publishing for providing a proof to read and review and to Bookollective for inviting My bookish Blogspot to participate in the blogtour. Valeria Vescina is from Puglia, was educated in Switzerland and the UK, and has lived for years in London with her family. After a successful career in management, she gained an MA in Creative & Life Writing at Goldsmiths (University of London). 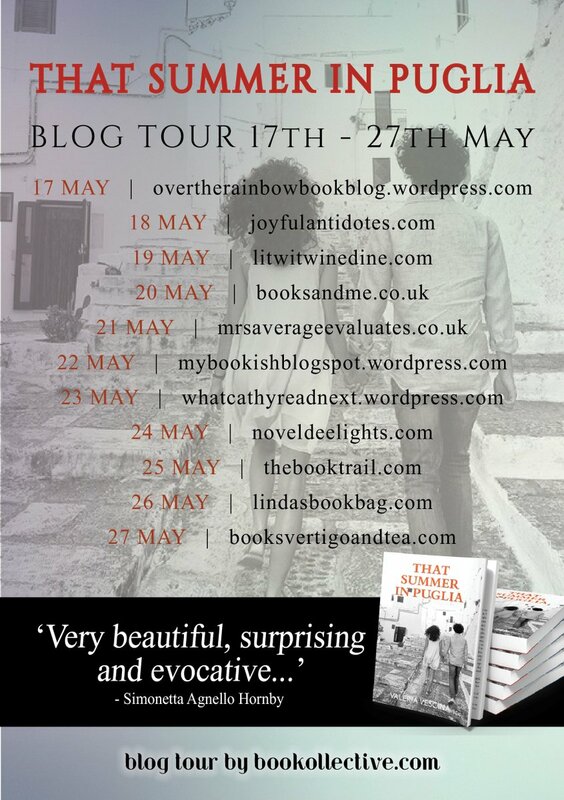 That Summer In Puglia is her debut novel. Her activity as a critic includes reviews for Seen And Heard International, Talking Humanities and the European Literature Network. She has taught creative writing workshops on the narrative potential of various art forms. Valeria also holds a degree in International Studies (University of Birmingham) and a Sloan Msc. in Management (London Business School).